Radd's Basement: Nerd Culture Podcast: A quick update! Yes, episode one is still coming! It's a matter of aligning schedules with my guests for recording. I have a theme song, I have a first guest, I have some free time, it's coming together! 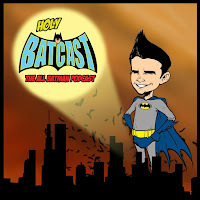 In the meantime, head on over to iTunes and listen to me be a guest on my pal Andy Digenova's podcast, Holy Batcast: The All Batman Podcast. We discuss, well Batman! It's Batman Day after all. (I totally knew that Batman Day existed before today, no really!) So while you wait for my first guest to get a day off work, enjoy me talking about stuff with friends once again! First episode in the can!